"Migrating from hardware to the cloud"
Being able to manage all the offices and users in single interface, and being able to turn on a new rule and have it roll out immediately has been great. It;s also a relief to not to have to wait for a reminder email or check the firewall to see if there is an update that needs to be installed; it gets done automatically while I sleep. We have been having to contact the support team any time a new version is available so that we can get an MSI version to push out via IT tools. We have a fairly distributed employee base where many of them are never in a corporate office. They are now full-time VPN users which means that their computers talk to the domain and now fully participate in corporate policies. "Simple and effective security for businesses without large IT teams"
easy to setup and manage via online portal. Flexible alerting reduces false positives. Cato has great security at an affordable cost for smaller businesses. Doesn't require an IT team; one admin can do it all. Also provides VPN solutions for mobile users (both laptop and smart phone/tablet) as well. In most cases a small company with one or two sites can be up and running in 1 day, once the small devices that encrypt the LAN traffic are received. Installation is as simple as connecting the LAN to the encryption device and then connecting it to the cable modem. Low end cable modems with poor firewalls weren't enough to keep the bad guys out. Early warning when bad traffic is leaving the network, such as the case in spambot activity from previous hack. Great security features for a low pay-as-you-go price. 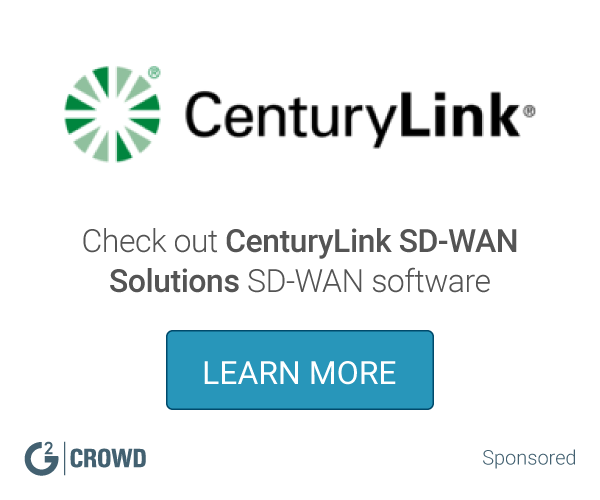 What SD-WAN solution do you use? "Cost Savings and better security!!" Cato has the most amazing support team! They are always on top of anything I may need help with. I also love the fact that my network security is now mostly "hands off" from an internal staff perspective. Currently, I have no dislikes related to Cato. If there was anything I could wish for, it'd be the ability to prioritize packets on our network, and I believe that is in development at Cato. I highly recommend this product! It's been a great service and helped us reduce overhead costs. We are solving issues with security across the board. Cato Networks has saved us a ton of money on MPLS circuits. We are now connected thru Cato, so we are able to have far less expensive Internet Pipes in all of our multiple offices. Cato has helped us reduce the security overhead, including costs of equipment and cost of staff time. "Very promising product and services for easy-to-use Network Security and Firewall as a Service"
How easy is to configure CATO networks Firewall As A Service and its security features to be applied to the company internet infrastructure. The Management interface design is very understandable and easy to navigate. One more think to like most is the easy way to connect the various branches with each other through the CATO Networks Infrastructure using Centralized VPNs. Last but not least, it supports user-based VPN for remote access to the various company's locations. I would like to have more options on controlling the Services provided through CATO Networks and also the parameters of the Socket appliance. Moreover, we would like to be able to integrate all the logs from the service to our syslog/SIEM solution but unfortunately there is no integration with syslog to send the logs to. Moreover there should be support for more Operating Systems for the user VPN client functionality and there is no easy way to download the VPN client. You should evaluate the product first in order to see if it really meets your business needs. This may be a very good opportunity for Businesses that need a quick and easy solution for their branches. Security as a Service with Cloud-based centralized Firewall / security features that can be applied to multiple locations (branches). Also it resolves with easy way problems with site-to-site VPNs due to the ease of setup of centralized VPN topology. Moreover, the analytics section covers an overview of the security features offered by the service. Automatic firewall security updates, no end of life hardware notifications to buy expensive new equipment or I would no longer receive firewall updates. Ease of use, specifically with VPN's to remote sites. Would like to see filtering at the user or individual machine level instead of site level. Seriously consider Cato if you are nearing end of life on you security appliances. The uptime between remote sites has improved greatly. Set up time adding new sites is much faster and very easy. I feel more comfortable with my security level at all of my remote sites, because I would sometimes not pay the expensive annual fee and stop receiving updates to the firewall on my old device. I also have a much better view of what is going on at all of my sites on the dashboard, which has helped more than once finding trouble with my Internet providers. The support. The team is excellent. They know their business and want to see you succeed. Their response time on issues in excellent. Also the core system is much easier to administer than having separate firewall/VPN on each site. Not much. They are a startup still (though the product is definitely stable), but from time to time you'll find a feature still missing. Talk to the team about your intended implementation. They are a fast growing company, so are still seeing new use cases. Your case will get put to the core engineers if they haven't seen it before. "CATO simplify and bridges our various offices under one roof"
Hassle free setup & maintenance. Just required plug and go. Easy cloud based maintenance control panel for novice users. Simple VPN connectivity for our employees via the app. Great analytics data provided on the events happening on the network. Build in Firewall and Threat protection is useful. Suggest more features can be configured by Administrators. The cost can be better when purchasing a higher bandwidth grade. Companies with multiple sites around the world, allowing seamlessly connected to each other with minimal configuration required. Cutting cost on network maintenance/upgrades. Extra layer of firewall and URL filtering is an useful feature. Eliminating of site to site VPN. Reasonable cost for the features and support provided. "All in one security solution"
The primary reason for choosing Cato lies with the ability to function as a MPLS network, firewall as a service, VPN and IPS all in one. Our interaction with our Cato counterpart, Joel Tian who is the engineering director, gave us the assurance that SD-WAN is the future. Cato's firewall SaaS is still in their infancy stage and would require more building on to do deeper level analysis required by administrators. Faced with an ever-increasing cost with MPLS, advance security threats and increase in users due to expansion, we needed a centralise solution which can ease our workload in managing our security concerns and user management but at a low cost. Our secondary objective is to find a reliable after-sales support to assist us in times of needs. We're using Cato for our Headquarter, AWS and 1 IPSEC tunnel and what we like the most is the simplicity of connecting different sites and VPN users. We don't have to worry about the encryption, security or configurations. It's almost plug and play. Easy to use, install, configure. No worries about security, configuration, testing and other things. We're about to solve a common problem; expanding our company. This would mean that we have to configure network and security in the other building. Testing and reconfiguring. With Cato is very easy to expand your network and have the same security and access. "CATO is a game changer"
the fact its cloud based and has very little onsite hardware. they also have very useful features to enable IT to support the users and the business. the fact we have to go via a re-seller to obtain the product and support. but i am sure that will change. Consider CATO and compare before using any WAN or cloud based security, especially if there are services or hardware needed to implement the solution. CATO allows your business to be flexible in its approach to connectivity. "Simplify Network Management while increase features and security"
Cato's ability to easily connect multiple sites and allow communication as one network, while having one pane of glass to manage it. Training on the product has been all self-taught and experienced though resolution though issues with support. I would prefer an overview as well as an in-depth training course on their products. How many locations you have, mobile users you have and access to multiple forms of internet. Finding a cost-effective way to take advantage of any internet connection so not to limit where we expand to physically. This also allowed us to easily become multi-homed due to the nature of how easy it was to work with any internet connection to become a secure part of our network. "very good conecpt of the SD-WAN with security function"
1. the design and concept is very nice, centralized policy management. 1. the WAN firewall rule cannot customize define the port number, because current ports limit is not working properly. 2. user awareness seems like need to take some time, and if user is using MacBook, seems like Cato cannot detect the user id. 1. reduce policy define to everywhere, just need centralized defined at cato cloud. "Its straight forward, simple and just works"
I like the speed and simplicity of setup and configuration. I like the responsiveness of the company to questions and suggestions. The dialog around the different offerings is a little unclear to new customers, however once explained the product is clear and simple. Connectivity, simple, fast and secure. This means that no matter where people are or what they are doing they can be in the network, controlled and managed. The consistency with the support and the uptime. Don't have an dislikes at this point. The problem we had initially we found out it was on our end. We needed a WAN solution to connect all across the globe. We have before of food speeds even from the other side of the globe. The easy of installation and configuration of the solution. Easy to manage and provide fast connection via the VPN solution. Can't work on private network, else I think is a very good product. Ease of management and provide oversight of your network. Managing multiple sites and security issues, with this it can be manage using a single portal that provide overall view of the network. "A one stop shop solution that enable me to control my users in my wide area lan over all the world"
It let me focus on the business needs because I'm shore that cato do the network routing and secure my network better then I will do. My users suffer from time to time from disconnection form the wifi when they at home and connected to cato. I Wholeheartedly Recommend as a very good solution to multi cloud and multi region organisation. - Enable our developers to connect from any place to our datacenters all over the world. - Enable me to control which user can access to which application. The support team is extremely knowledgeable and ready to help! with anything that has a software component, there will be bugs. however their team fixes them quickly once found. we are using cato as another layer of security for our network as well as a vpn. If you are looking for secure low latency global secure SD WAN solution that includes Threat Prevention, look no further. Try it! you can implement cato without disrupting your existing network so what have you got to lose? "Switched from MPLS to Cato SD-WAN and wouldn't look back." The simplicity in both UI & UX of the management portal. Only thing I can discredit them for currently is that SSO isn't available on the mobile apps however I expect this to come with a future release. We previously had an expensive and rigid MPLS WAN and switching to Cato has made our network quicker, and more flexible should we need to add more sites or offices to our SD-WAN in the future. "CATO Networks enriched VPN alternative"
Ability to simply connect remote offices with security features. Ease of use for typical administrator. Lot of features packed which is great for smaller companies: NextGen Firewalling, URL filtering, Malware Protection IPS, Forensics and Extrusion Prevention. There is not a 4G / LTE nor Wireless socket option to go with device which is mandatory for our application of this kind of solution. Potential weakness in number and locations of DC's. Connecting remote offices with central location and applying security with reporting. Quick and fast deployment. "Quick and Easy SDwan solution"
They have a easy system which allowed us to deploy their Cato boxes to multiple sites at the same time and we had it all up and running in about an hour. The support is excellent and they reply quickly. To be honest I do not have anything to put here , great job guys keep up the hard work. Provides always up internet connection with little to no management required , excellent virus and firewall protection . Cato is disrupting a 25 year old monopolized MPLS market and presenting the world with today's technology capabilities and competencies that are equal in service together with 5 in 1 cloud security. It's so simple is worth billions back to the client. That this wasnt available 5 years ago and therefore unable to muscle in the competition. To provide value added cyber security services together with a connectivity MSSP proposition. Control has been regained for the channel. "Great service for small-to-medium sized distributed teams"
Cato Networks has filled some of our networking needs allowing our infrastructure team to worry about more important problems, and their support has been exceptional. We've experienced some intermittent issues with our dedicated endpoint, but their support is very responsive when we raise issues. Our team is globally distributed. Cato allows to make internal services available to our team members without having to manage our own VPN infrastructure. The simplicity of Cato. Nice UI and easy to use. Support response time is super quick! The admin portal is a little slow and buggy at times. Getting VPN solution for all our workstations. "Cato network Best for WAN connection"
I do appreciate that by using our Cato sockets to connect our companies together. It helps alleviate dropped packets and very slow connection speeds from one site to anther. I would say the upgrade process on the sockets can sometimes be misleading and potentially could harm your wan environment if not notified of the upgrade. It is solving our dropped packets and slow connection speeds to our other companies over seas. "I'm a systems administrator at the Dallas Arboretum"
Being able to stop vital threats from coming through. The security of our network. "Network Security as a Service in its Prime"
Cato offers connectivity to Intranet services between different branches while securing those connections. Cato's expertise in the security market (via its founders) is something remarkable and assuring of an accurate and efficient security system. Several features can be added such as Extrusion Prevention, URL inspection and bot detection. Simply impressive! There's not much to improve here besides adding more POPs. Connectivity and security between all branches. The speed of the network, excellent so far. The ability to connect with our sites efficiently and easily. Support in different countries your experience may vary. Its a great tool to connect your WAN and establish a solid connection to locations all around the world. We had speed issues between sites as we grow into a global enterprise. Cato helped us fix speed and packet loss issue. "Fast and responsive support. " Solutions that give control to the end-user for complete customization. SImple solutions that just work. A lot of tools included like VPN, Malware-protection, Web-Filtering, etc. CATO incorporates security into their systems to block unwanted traffic / malware before it even has the chance to infect any machines. Fully managed IT security services out of the box! Some issues with routing us out of POPs in EU from time to time. Causes all kinds of problems with web traffic when google suddenly thinks you are in Germany. We are a distributed team but still need very high levels of internal IT controls. Cato is a perfect fit for us. The security and SD Wan is more needed when you have a different branches so you can monitored them easily. Bugs on cato socket, many of our branches experienced a no power in the port of cato socket specially in all ports. Connectivity of different branches into one network, benefits its to centralized monitoring for all network branches. "Very effective, using to manage product." The easy web UI makes managing sites and customers painless. Can the socket come in gun metal gray? Kidding. At minimum run a no cost proof of concept of the product. Management of clients in a single pane of glass is the big one for us. The layered on security, WAN optimization and general traffic visibility are all key features. The team at Cato Networks is fabulous, very responsive and timely, be it for rollout or support. Nothing in particular to dislike because the service is just excellent. Always ensure your architecture and design are both defined to ensure proper and timely integration and rollout. Secure connectivity between sites. Single dashboard to monitor and view status of the connectivity. "Simplified Connectivity and Security "
Lack of PoP in Philippines and Indonesia. Consolidated all my remote sites into a single logical network with ease of management and connectivity. I really like the web management. This feature makes administering all devices so easy and painless. This is still in its infancy and with that brings the bugs with ironing out the software and user experience. Just the ease of administering the systems in place and over all setup of devices. Easy management of endpoints, automated emails, and easy setup and use for end users. The UI could be a little more intuitive, but other than that Cato is great. This has completely reinvented our VPN access, making it easier and more logical for all involved. "CATO cloud network with single tiny box"
I like the communication channel of CATO network and the device configuration method which is simple and efficient. The additional expenditure of backup line and the cost of CATO line which expensive than the existing one. "So far it has been fine. The support staff has been very attentive." All the support I get. I like the von for clients. Very good tool and easy to use. I like the easy setup of sites and sockets. No hardware is needed. Fast and easy to deploy. Centralized management for all locations. Highly recommended to try out Cato Solutions. It will save you the time and efforts to roll-out or deploy the security for your company, especially if you have many branches that require protection, yet easy to be managed centrally. Company with multiple branches. Don't require many appliances. I like that they provide a world wide solution at a decent price. The fact that we can get informed there are network issues. Administration & product logic. I really like lot of NXG firewall options. Sometimes complicated settings, especialy in FW, but maybe I just need more practice. End point simplicity. No need to touch devices. No ability to rename sites. We like the ease of use and protection provided by the mobile VPN client. When I used the product on a recent trip, it seemed to drain the battery on my phone too quickly. WAN/Internet redundancy. Cost savings over T1 lines. Potentially adds latency vs traditional MPLS networks. Make clean break from MPLS for migrating sites. Network single point of failure. Rising costs of T1 lines. Relatively easy to use, on paper. Easy to set up if all goes well. Initial connection failed and needed troubleshooting. Client is only looking for WAN optimization, no true SDWAN. WAN optimization improves speed of some operations, as expected. * We monitor all Cato Networks reviews to prevent fraudulent reviews and keep review quality high. We do not post reviews by company employees or direct competitors. Validated reviews require the user to submit a screenshot of the product containing their user ID, in order to verify a user is an actual user of the product. Hi there! Are you looking to implement a solution like Cato Networks?